And just after my post about my new Readynas 516, Netgear released Firmwareupdate 6.0.8, who seems to solov many of my issues. The add-ons now work perfectly, and no stability issues so far. Yey. As more and more of my DVD and Blu-ray collection finds its way to my Readynas Ultra 4 running a PLEX server, I decided more power was needed. and the new Readynas 516 looked to be everything I needed. powerful CPU, ample space, and the possibility to extend the unit using eSATA if in the future 6 disks aren’t enough. 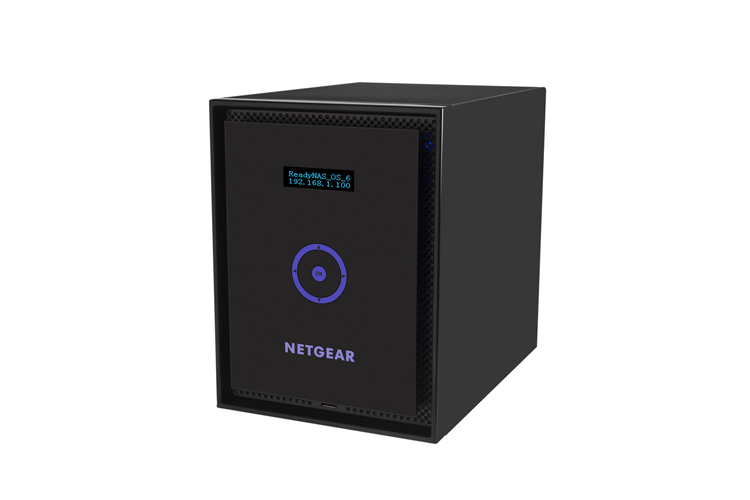 Good cloud connections, integrated PLEX server, and my familiarity with Netgear Readynas products made the unit my first choice. Receiving the unit, the hardware looked to be everything I hoped for. Good build quality, nice to look at on my desk, and the performance running everyday tasks like PLEX transcoding, phenomenal compared to the Ultra 4 plus. However I do feel somewhat like a beta tester. The new Readynas OS6 looks sleek, and when it works, it is. However parts of the new OS, especially the Genie app store, and the OS add-on handling is bug ridden, requiring you to SSH into the box to do something as simple as updating the PLEX server. Windows 8 is getting a lot of heat in the media. The last thing I read this morning was that Windows 8 was the reason for why computer sales have dropped. I disagree. There is no sole reason for the PC sales statistics, and if Windows 8 is a part of why PC sales are down, it is in my opinion not because of Windows 8, but because of media and bloggers have made a sport out of bashing Windows 8. Windows 8 is often compared to Vista. Why. Because Vista was also a Windows OS, that didn’t catch on. But the reason the two OSes don’t catch on is in my opinion vastly different. For anyone, who have tried the two OSes, know that they are both actually very good OSes, but they where the ones who made way for the next one. Vistas biggest problem was the amount of resources it needed to run smoothly. In terms of safety, and features, it was way better than XP, but Vistas love for hogging up resources, was its downfall. That and the fact that a changed way of makeing the drivers made a lot of people struggle because third-party drivers was non existent or badly programmed. When service pack 1 arrived Vista became a good OS, if you had the hardware to run it. So Vistas problem can be easily identified, what then are Windows 8’s downfall. Windows 8 has all the features of a full-blown Desktop os, and all the features of a tablet, I don’t know how you can’t love that. 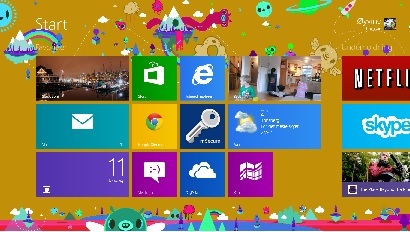 And the beauty of windows, if you want it too look the same as it always has, you can, just tweak it. One thing though, Microsoft are you listening. When installing the OS, I want a selection of what I want to run as default programs, on my work computer. I don’t want the Windows 8 style apps to be my default apps, I don’t want to leave my desktop when clicking an image in file explorer. What about a choise when installing, what will be tha main use of this computer. Work emphasizes on the desktop, Media emphasize on the Windows 8 style apps, and for the advanced user, choose what to use as default programs. Bottom line, if you want a better OS, choose Windows 8, accept it as it is, or tweet it, your choice, but it is the best windows OS available.